Pop duo Tegan and Sara and comedy-music trio The Lonely Island will perform the Oscar-nominated song “Everything is Awesome” at the 87th Oscars, show producers Craig Zadan and Neil Meron announced. The Oscars, hosted by Neil Patrick Harris, will air on Sunday, February 22, live on ABC. 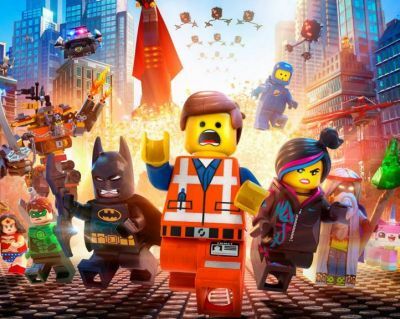 “Everything is Awesome,” written by Shawn Patterson for the animated feature The Lego Movie, is nominated for Original Song. The four other nominated songs are “Glory” from Selma, “Grateful” from Beyond the Lights, “I’m Not Gonna Miss You” from Glen Campbell…I’ll Be Me and “Lost Stars” from Begin Again. Canadian twin sisters Tegan and Sara have been releasing critically-acclaimed albums and touring internationally alongside some of the biggest names in the industry since 1999. Their seventh and latest studio album, “Heartthrob,” debuted at No. 3 on the Billboard Top 200, with certified gold single “Closer” charting in the top 20 at U.S. pop radio. Tegan and Sara were recognized with a Grammy nomination in 2013, and won Pop Album of the Year for “Heartthrob”, and Group of the Year, at Canada’s 2014 Juno Awards. “Everything is Awesome,” which the duo recorded with The Lonely Island, has sold more than half a million copies in the U.S.